This leather vest as the name suggests has been an inspiration from the Avengers Infinity War and looks great, the material used in the making amounts being none other than the genuine leather or faux leather and the color featured is none other than the black color. 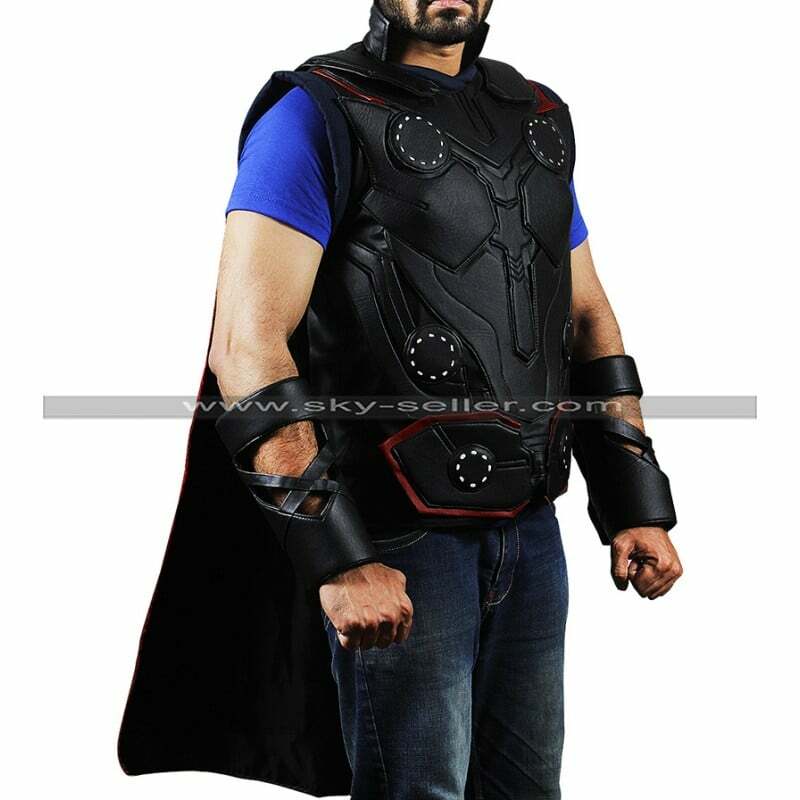 This Thor Costume Vest gives a tough impression and the finishing is also outclass in all aspects, being sleeveless and front associated with rounded patterns this vest is a beauty to go for. Harley Quinn is a character which has always been known very well for the clothing carried, this jacket is also one such example. 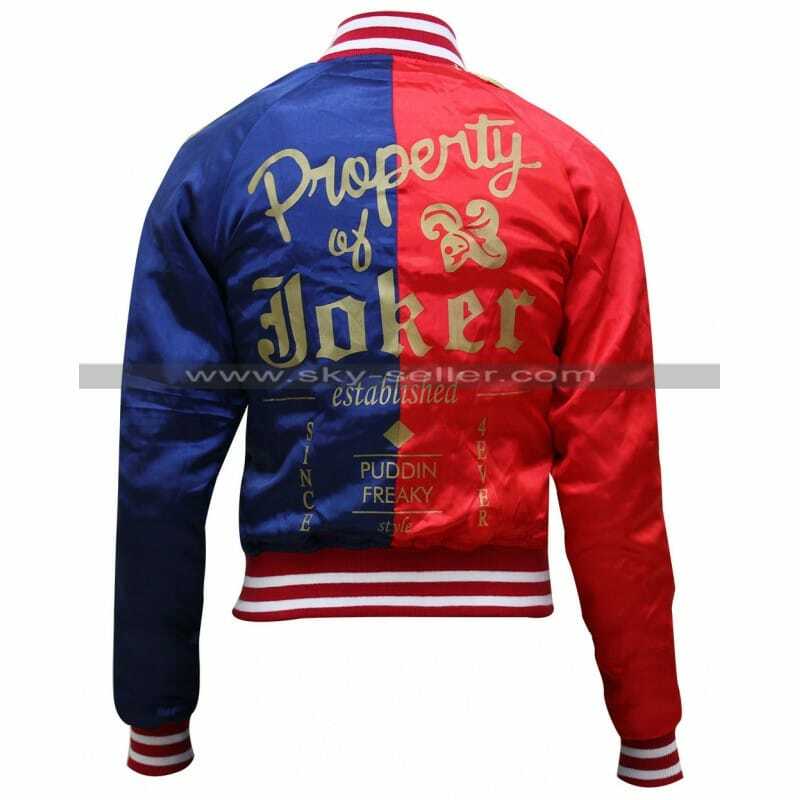 This Harley Quinn Jacket has the blend of red and blue color over the base of satin is also something that takes away the breath of the one who takes a look at this beauty which is also being enhanced with the golden colored finishing all over. When it comes to taking a look at the most amazing pieces of attraction the consideration of this jacket which is being inspired by the most amazing looking celebrity grabs the attention in the very first instant. 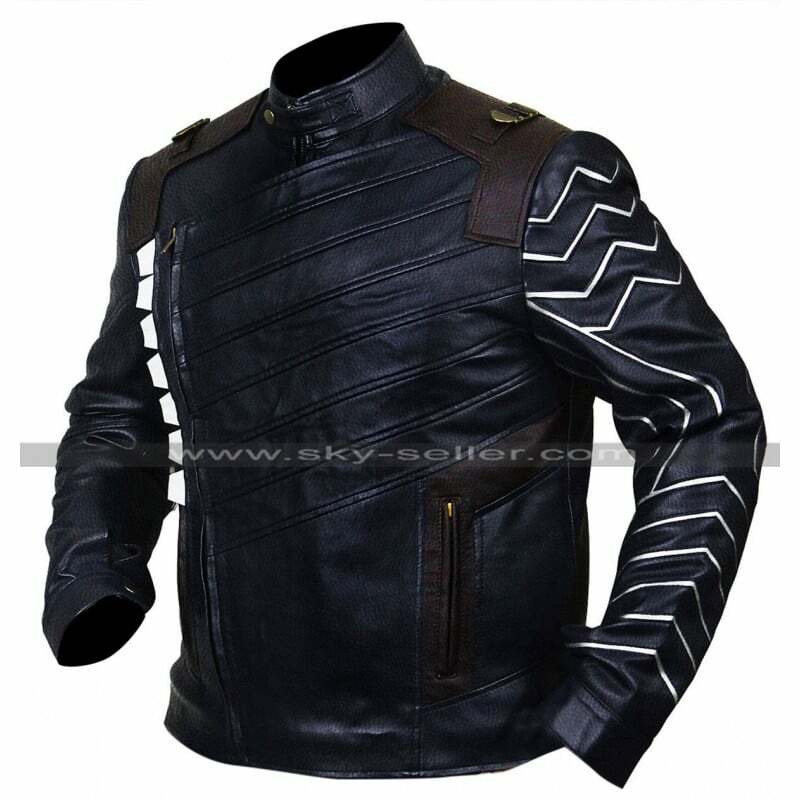 This Bucky Barnes Infinity War Jacket has been finished using the best quality leather with a choice of going for either genuine leather or faux leather and has been featured with the base of black color. This jacket has an overlapping layout which grabs the attention being a style statement and over it has a series of embossed strapped layout for the finishing purpose. When it comes to taking a look at some different kinds of events these are always filled with numerous discounted offers, Sky-Seller is offering huge discounts of which the sale of up to 50% has been offered on its all products and this sale is also followed by free of cost shipping all over the world so grabbing your favorite with great offers is always the best decision to go for. This offer can be availed using the coupon code “Comic” in order to get your hands on your favorites.